Today marks the 18th day of the 2019 State Legislative Session. Here is a roundup of what’s happened so far on issues featured on Food Lifeline’s state legislative agenda. Issues that address food insecurity, which of course includes poverty, household and financial stability, school meals and similar, for vulnerable and low income children, adults, and seniors. To start, there is much support for fighting hunger. The only complicated part of this work in Olympia is that there are hundreds and hundreds of other compelling issues that are all competing for attention – and against a tight timeline for what moves in the legislative process. Up against this, not everything will get done. But at the end of the day, the squeaky wheel still gets the grease and there is no substitute for effective advocacy and direct lobbying. Food Lifeline is here with a coalition of like-minded hunger relief and poverty organizations working together to push a myriad of uplifting issues. On some issues, bills have been introduced and have started to have hearings in various committees. Other issues are matters for the state budget and that process starts later in the session. Our Policy Platform frames our top issue areas of hunger and health, hunger prevention, food systems, poverty, and equity and social justice. See below for more on each, including links that take you to detailed bill information on the Washington State Legislature’s website. Washington state has successfully used a federal grant to give extra help to folks on SNAP so they can have more purchasing power for fresh fruits and vegetables. We are actively supporting the bill, HB 1587/SB 5583, Food Insecurity Nutrition Incentive that provides state matching funds to the program, along with a similar effort, the WIC Farmers Market Nutrition Program. These programs are set up to work at most farmer’s markets and all Safeway grocery stores in the state. A third component allows for health clinics to “prescribe” a voucher incentive for use toward purchasing fruits & vegetables. Bill sponsors: Rep Marcus Riccelli, Sen Claire Wilson. Our issue area “State Nutrition Programs,” includes group appropriations for nutrition and related assistance programs that are run by government agencies, namely, the Washington Department of Agriculture, Department of Health (like the Food Insecurity Nutrition Incentive above), and Department of Social and Health Services. To be sure, we are actively supporting full funding for these important programs. Action on these items will happen later in session when work on the state budget begins in earnest. We are also supporting measures to improve access to school nutrition programs. One bill, HB 1685, Concerning free or reduced price meals for students, would improve the process by which students are qualified for assistance, but also ensure that no student is treated differently or denied a meal because of any unpaid school lunch debt. Bill sponsor: Rep Strom Peterson. There are also bills in the works to address “adequate time” for school meals as well as one focusing on college student hunger. The latter would similarly ease access to nutrition assistance programs. We believe that consistent access to donated nutritious food depends on a statewide food system that produces in abundance, is sustainable, and encourages food rescue. As such, we are actively supporting HB 1731, Washington Food Policy Forum, which is a public private partnership created to focus on statewide food system recommendations and goals. 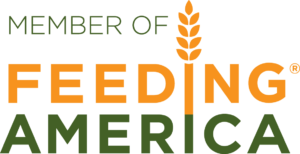 This forum will provide important leadership as it convenes key stakeholders, including Food Lifeline, from throughout Washington’s food system. Bill sponsor: Rep Mia Gregerson. To increase the amount of fresh fruit and produce that Food Lifeline is able to give to local agencies, we have to expand our refrigerator and freezer space in our warehouse. As you know, perishable food requires special handling to maintain freshness and food safety. Fortunately, Washington invests in many community projects like this. Accordingly, Food Lifeline is seeking project support in the Capital Budget to expand our chill space capacity by 55%. We also share concern about farmland preservation and the continuing viability of agriculture in the state. After all, no farms, no food, to borrow a phrase. One bill we are supporting, HB 1733, Retaining productive farmland, would help the state gather information about land it acquires so as to better ascertain impacts on agricultural lands. Bill sponsor: Rep Mia Gregerson. Hunger is caused by scarcity and lack – inadequate financial resources, unaffordable or inaccessible healthcare, lack of stable and affordable housing, under-employment, and scarcity of living wage jobs. Food Lifeline is supporting important fixes to the HB 1603/SB 5684, Temporary Assistance for Needy Families program that protects low-income families with dependent children from the harm of deep poverty. Doing so will improve access to assistance that can help stabilize their lives. It’s first up with a hearing before the Senate Human Services committee on Tuesday, January 29 at 1:30 p.m. and the House Human Services committee will hear the House version, HB 1603, on Wednesday, January 30 at 1:30 p.m. Bill sponsor: Sen Joe Nguyen, Rep Tana Senn. Washington’s Housing and Essential Needs program ensures that extremely low income people diagnosed with significant, temporary mental illness or physical disabilities can meet their basic needs like housing, food, and hygiene while they are unable to work. HEN is both a frontline investment in our state’s behavioral health system and a critical component of our homelessness response systems in local communities. Food Lifeline is joining with many other organizations in calling for a significant increase in funding for HEN. State Housing Trust Fund is the fund that represents the state’s largest dedicated source of funding for affordable housing. The goal this session is to secure a significant investment to bolster the trust fund. Enough to really make an immediate difference in the state’s affordable (or lack there of) housing situation. We’ll cover this issue more in depth as session continues. 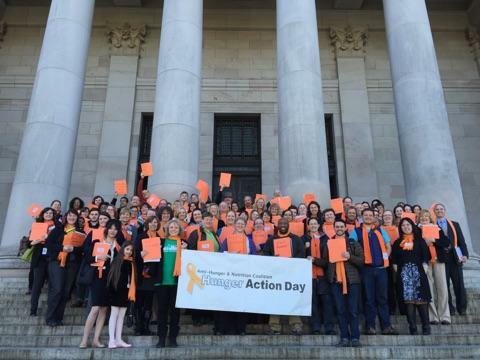 Hunger Action Day is Monday, February 11, from 8:30 a.m. – 3:30 p.m. This is a great opportunity for Food Lifeline supporters to join other hunger advocates from across the state. We will convene and kick-off the day at United Churches of Olympia. Registration is open – click here to join us in Olympia to advocate for important hunger and poverty policies. A host of provisions to uplift and protect immigrants in Washington’s workforce are promoted in, HB 1815/ SB 5497, Establishing a statewide policy supporting Washington state’s economy and immigrants’ role in the workplace. For Food Lifeline, this issue creates an intersection between poverty, equity and social justice, and food systems. Bill sponsor: Sen Lisa Wellman, Rep Lillian Ortiz-Self. Food Lifeline is supporting a bill to create a Statewide Equity Office, HB 1783 /SB 5776. This office and the initiative it would lead would serve to ensure there is greater alignment in equity practices across state government. It would also foster better levels of collaboration in this area. Bill sponsor: Rep Mia Gregerson, Sen Manka Dhingra. State session moves quickly and the information presented here was as accurate as possible at the time of writing. Corrections and updates will be made as needed.